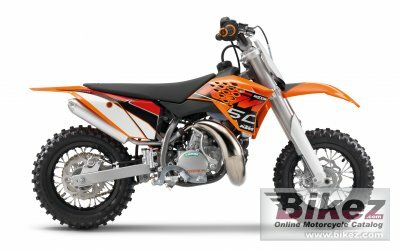 2014 KTM 50 SX Mini. Picture credits - KTM. Submit more pictures. The 50 SX Mini is the only choice for parents looking to make the first step to start their child�s racing career. Oil injection, 10��wheels, adjustable clutch and a low seat height make the perfectpackage for new racers. Ask questions Join the 14 KTM 50 SX Mini discussion group or the general KTM discussion group.